Headlies: Fan Hospitalized After Trying To Be A "Rosebud” - WrestleCrap - The Very Worst of Pro Wrestling! Cheyenne, WY – 19 year-old wrestling fan Mackenzie Dobbs was rushed to Cheyenne Regional Medical Center Tuesday night after what she claimed was her attempt to “be a Rosebud”. Dobbs was apparently trying to join WWE Superstar Adam Rose’s fan group collectively known as “rosebuds”. According to a post of social media, Dobbs declared her intentions following this week’s edition of WWE Main Event. Dobbs climbed to the roof of her apartment, yelled “Don’t be a lemon. Be a Rosebud” and leaped two stories into a rosebush below. Several neighbors called animal control assuming that Dobbs’s muffled cries of pain were that of an injured raccoon. “Ms. Dobbs is in serious, but stable condition,” said Dr. Louis Greene, head of emergency medicine at the hospital. “She arrived with several broken ribs, a dislocated shoulder, sprained ankles, bruised kidneys, a shattered pelvis, a cracked skull and several deep lacerations across her entire body. When asked if others have been treated for trying to become Rosebuds, Dr. Greene said, “Actually, no. I think it helps that he’s rarely on television. Believe it or not, we’ve had more people come in for imitating the Bunny. I don’t know how that Bunny sleeps at night.” In a haze of morphine, Dibbs declared “Adam Rose will be WWE Champion at In Your House!” She then hummed a few bars from his theme song before passing out and drooling all over herself. 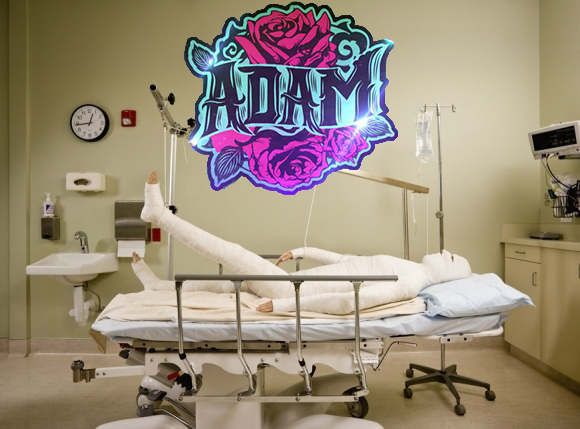 10 Responses to "Headlies: Fan Hospitalized After Trying To Be A “Rosebud”"
If there was ever a place I could see Adam Rose winning a title, it would be at In Your House. In Your House: Beware Of Thorns. A 19 year old girl who makes an In Your House reference? Wrestling fans (except Peter Gazer and Nathaniel) will come from miles around to ask her out. 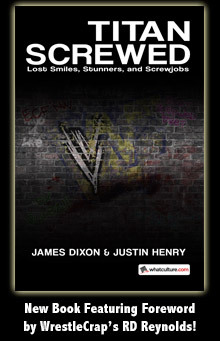 This of course will happen after their 1,000,000th Noelle Foley rejection occurs. Go to Urban Dictionary and look up ‘rosebud’. I really thought this was going to go that route lol! Then that shows just how important Adam Rose is not, when his own gimmick can’t even be recognized on a wrestling related site. Tell me her dying words were indeed “Rosebud”.